^ John Barwell, n.d. "ノーフォーク史 Archived 2010年12月29日, at the Wayback Machine." ^ Invest in Norfolk, Agriculture and Food. 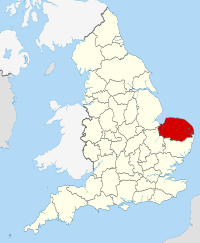 ^ Norfolk County Council, 2005. County election results.